Simply airing woollen blankets is the best technique to keep the wool properly clean. After using it approximately thrice, it should be hanged in open air so air freely moves across it and takes away any smell or impurity that may be present in the blanket. What happens with washing through water is shrinkage occurs in the woollen fabric and the size differs. Instead of washing the whole blanket for spots of dirt on it, it is always preferable to opt for spot cleaning. Where a small soft bristle brush can be used with little washing powder and water to rub off stains and then air dry it the harmful results of cleaning the whole blanket are minimized. Little care taken of blankets made in wool and they are bound to last for a long time. 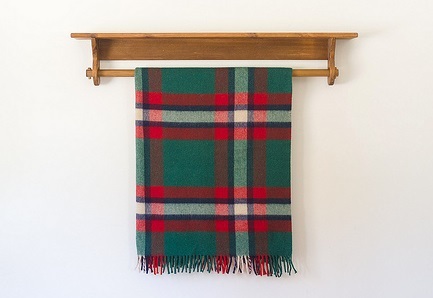 One of the best ways to secure wool blanket from shrinking or changing its texture is to soak it in water of cool temperature for at least two hours before washing it. By doing so, the woollen fabric tends to lose its tendency of shrinking. While being soaked in water the woollen fibre is completely saturated and that is the basic reason why it does not shrink while washing. There are many products and brands available in the market that has the term ‘wool’ or ‘woollen’ written over it. One must make sure that while buying cleaning products of woollen fabric recommendations from family and friends is taken since all wool products are not wool friendly. The eventual result of these products is damaged blankets and wool clothing material. The fabric can be washed by simply soaking in water and then using wool friendly detergent to wash it. It is advised to hand wash such material instead of machine washing it. In machines the automated number of times that it would rinse and spin leads to the damage of woollen materials. Woollen clothes and blankets are preferred to be hand washed where rubbing is kept to the minimum so that the fabric does not damage. The normal routine of drying fabrics is either using spinner of the machine, which is not at all recommended in woollen fabrics or air drying them. For woollen material it is better to air dry the fabric, the technique used is to lay it on towel and then roll it up, pressing any excess amount of water in it. Repeating the procedure and then leaving it to air dry. This way chance of shrinking or spoiling of fabric is minimized. 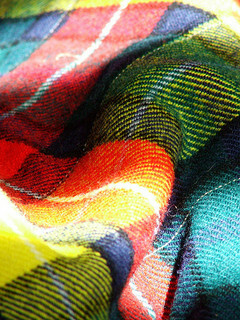 The wrapping up technique is used for all sensitive fabrics that are prone to shrinking and defects if handled harshly.